This easy-to-wear short shift dress is perfect for any occasion. The simply elegant styling of this semi-formal dress will effortlessly take you from a day at the office to an after work dinner party or family celebration. 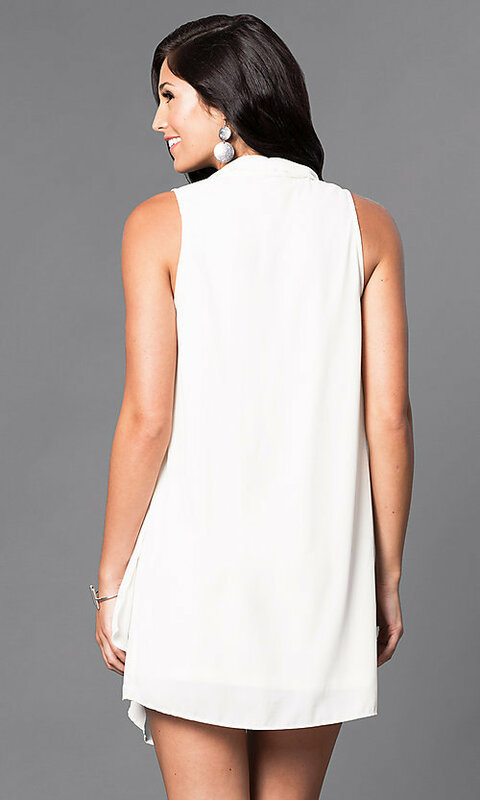 A little-white cocktail dress with a draped shawl collar that flows down the front to give this semi-casual dress a comfortable fit and flattering look. A sleeveless dress with a v-neck and asymmetrical hemline that will never go out of style.